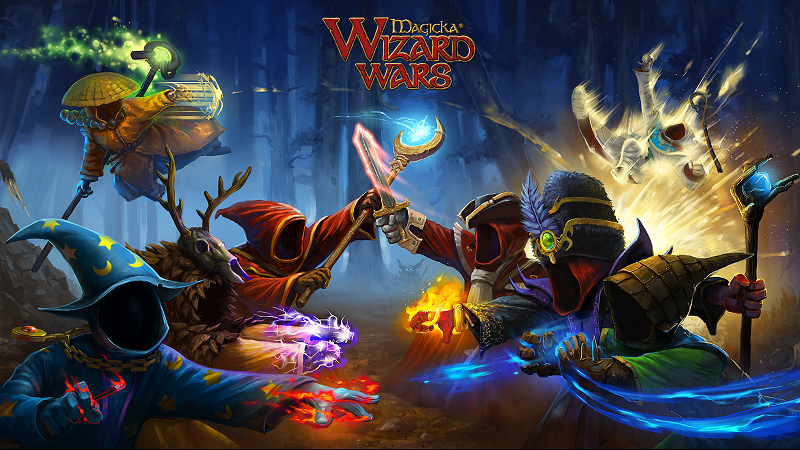 GC 13: Magicka: Wizard Wars - Interview "They're still screaming because they're having fun"
How will the shutdown work? Servers will remain open for a period of 3 months from today. Shortly before this post all items/bundles with a real-money cost have been removed or converted to be purchased with in-game crowns only. We will do our best to introduce any old content we have collecting dust in our archives, so you may see some new bits and pieces appearing (Not 100%, depends on work needed, we will try though!). Should you have boosters active that expire AFTER 21st July 2016 please contact our support (www.paradoxplaza.com/support) and we can look into refunds where appropriate. Finally a big thanks from all of us who’ve worked on the project, to you, the fans. The passion and feedback from you throughout the whole development of the game has been nothing short of awesome!